MIDP here filling in for Jetty this week. Frankfort Michigan earlier this year. Starting to look more like California. were riding in Holland last Saturday. 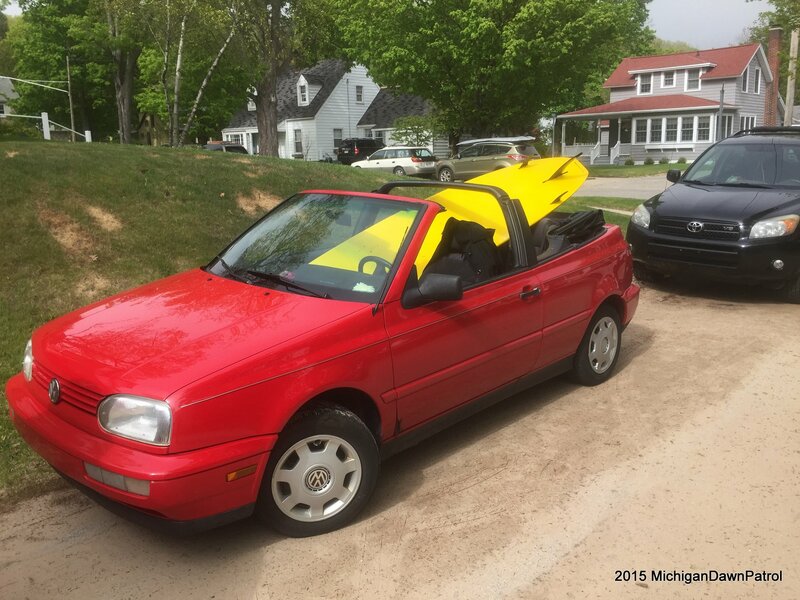 Today: There were rideable conditions early with a moderate West wind in the 15 knot range for most of the west coast of Michigan. Expect the West wind to continue and taper off a bit as the day goes on. 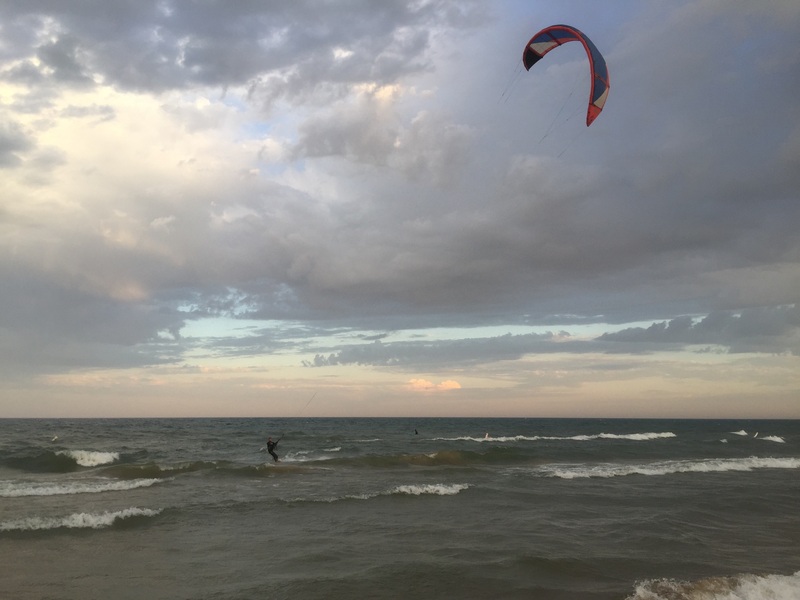 Direct onshore conditions and light wind for most of the Lakeshore will making kiteboarding difficult. Dawn Patrol sesh in Grand Haven in June. Tomorrow: Your best bet is to wake up early and try for a DP session on a WNW wind in Muskegon or South Haven. The rest of the day the wind will fizzle out. I think it will be a teaser wind in the 10 knot range. Enough to make you think about getting your gear out several times throughout the day but not enough to ride! Sunday: Mid morning to early afternoon on Sunday look like the best chance to ride when a south southwest wind will blanket most of the lakeshore. Best winds look to be from Muskegon to South Haven. Coast Guard Festival is this weekend so steer clear of Grand Haven. Little Sable and Point Betsie should also be solid but if you are going there keep in mind there is almost no beach to launch and land. Manistee has been getting lots of wind this past week so I’d keep an eye on that wind meter as well. Looking ok in Muskegon and South Haven. Forecast improved a lot for today but watch out for the occasional T-storms.